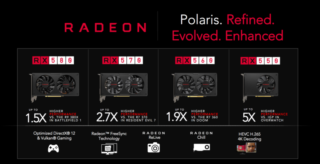 This is just a quick help section to deal with the driver issues with the new Polaris re-brand, the RX 500 series from AMD. By the way, in the next week or two we will build for you a 6 GPU RX570 rig and explain every step properly. To install your bios mods, you will need a few things. See Here and Here for SRBPolaris V2.6. You also need to install AMD/ATI Pixel Clock Patcher, found here. You need this to bypass the bios signature check on the new drivers. Read up on these issues, which are relatively simple to resolve, on the bitcointalk forum thread. In short, install the bios signature check bypass (DDU your drivers, reboot, install new drivers, install patch, and then reboot. ), then flash your cards with your new bios. Have fun and remember if you are having problems, take a break and try again later (and ask for help) !